Wherever we go when we travel, we always hope to find a friend, or a friend of a friend, who can tell us what only a local would know about the place, share its secrets, facts, anecdotes, its inhabitants’ daily habits. When we are accompanied by someone who knows the city intimately, the journey changes color and every corner becomes a welcoming, homey place. It is only then that a journey takes flight. 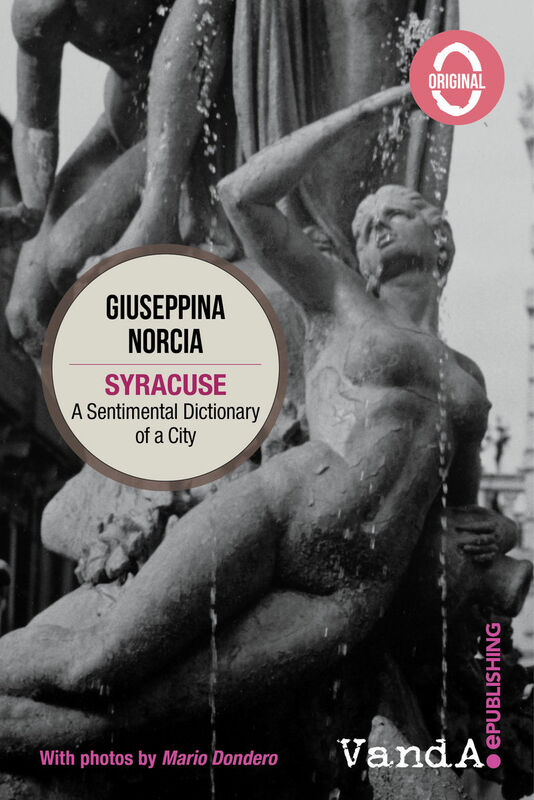 This book is a narrative travel guide, a view of Syracuse through the eyes of a knowledgeable and passionate inhabitant, a woman born and raised there, who knows that Syracuse is an ancient, unique city, where the main street is named after Gelo instead of Vittorio Emanuele, where children are put to bed with Hesiod’s Greek myths rather than Grimm’s fairy tales. This sentimental guide is meant to inspire. Arethusa, Dionysius, Ecstasy, Envy, the Dead: all are themes chosen to explore the city and narrate it through an exquisite and magical tapestry of notions, emotions and feelings.